What is the VFR Over the Top rating? With the basic Recreational Pilot Permit or Private Pilot licence you must fly with visual reference to the ground at all times. 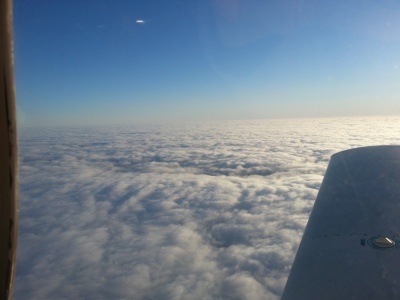 The VFR Over the Top (VFR OTT) permits you to fly over a solid layer of cloud. A VFR Over the Top rating allows you to reach your destination in the event of marginal weather conditions enroute to that destination. It is similar to an Instrument rating however the weather at your departure airport and the arrival airport must be VFR – good weather conditions. This rating allows you to fly above the clouds but not through them, that requires an Instrument rating. Why choose the VFR Over the Top rating? Similar to choosing to complete a Night rating, the VFR OTT rating gives pilots increased experience and freedom when choosing to fly. The VFR over the Top rating is useful when you are completing flights which cover long distances. If you encounter a layer of cloud while on a cross country flight a normal VFR pilot would be forced to turn around or divert to alternate area. 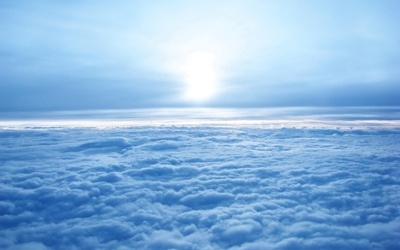 If you had a VFR OTT rating and certain weather conditions were met at your destination, you could simply climb above the clouds and continue your flight. In order to hold the VFR over the Top rating you must be a Private Pilot licence; to hold the Private Pilot licence you must be at least 17 years old. There is no maximum age, Future Air has trained multiple students that were older than 60 years of age. What is involved in getting my VFR Over the Top rating? The Transport Canada minimum for a VFR over the Top rating is 15 hours of instrument flight training. Future Airs' typical student will complete a VFR over the Top rating in approximately 17 hours. This is based on what it takes the average pilot flying on a regular basis to complete. If you already hold a night rating, you will have 10 hours of instrument flight time, reducing the requirement for the VFR over the top rating to just 5 hours. Do I need to take Ground school? There is no Ground school requirement for the VFR over the top rating however Future Air has created a VFR over the top Ground school. This short ground school covers all the necessary topic and will help make your transition quicker and easier. What tests are involved in the Training? There is no written examination for the VFR over the Top rating nor is there a flight test requirement. When your instructor feels you are safe and proficient to hold the VFR over the Top rating you will be recommended to hold the rating. What is the estimated cost of the VFR Over the Top rating? Remember that every student learns at a different pace, so the cost provided will always be an estimate. 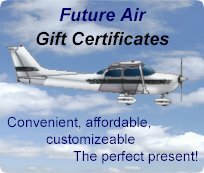 With Future Air’s many years of experience with are confident with the price breakdown. Nominal fuel surcharges may also apply. Taxes are extra.